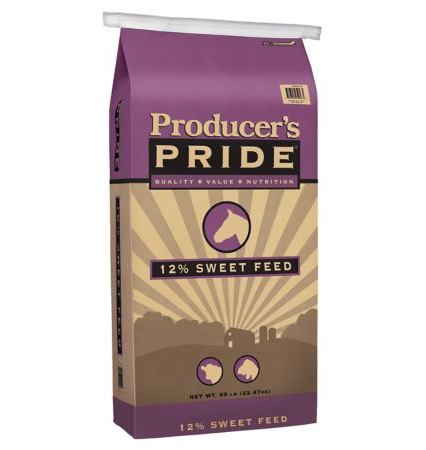 Step 1 : Need Producers Pride (3-Grain Mix, Oats, Barley, Cracked Corn) 50lbs (Good for just over 3- 30 gal batches, Get at Tractor Supply ($16.00 ), All Grain which is basically a Sweet feed mix but just doesn’t have as much molasses as other sweet feed mix’s but the sugar & cracked corn make up the difference. Also a 50 lb bag of ( Country Pride or other , cleaned cracked corn ) get at Orscheln Farm Supply ($6.00). Its better if its cleaned ( no cobs or trash ) ( good for more than one Batch ). Step 2: Now you need to Grind, Blend (with a blender) for 30 gals of mash 15lbs of the 3 grain country pride mix , doesn’t have to be a powder. Step 3: Then you need to grind, blend (with a blender) for 30 gals of mash 10lbs of cleaned cracked corn but don’t mix with 3-grain yet, I have a 10 gal mash pot to cook the corn and you want to mix the 10lbs of blended cracked corn with 10lbs of straight up cracked corn and bring it up to under boiling temperature , about 160* to 170* Fahrenheit until you see it starting to Gel ,and it will Gel. Step 5: Now you need to stir every few hours until the mash has cooled to at least 115 degree’s , I prefer 100 degrees but its safe to ad the yeast at 115 or less. My Grandpa always used Bakers Yeast but you are more than welcome to try what you feel like, but I’m sticking to what Grandpa used cause it works good for me & Him !! ( We use , 6 – 1/4oz packs of Fleischmann’s Active Dry Yeast to 30 gals) and it has no after tastes or cloudiness whatsoever when done. Sometimes I do a SG but not always because it’s gonna work or it ain’t ! Also I don’t use an air lock ( For Pussies ) I let my mash breath and just stir the first few days ( every other day for the first six days ) then it takes 8 , 10 , 12 days before its ready to distill just watch the bubbles and check your ABV every couple days and you’ll know when its ready to run. If you’re not going to drink this batch right away you might want to experiment with oaking some. I’m a big fan of adding a few oak chips and letting it age for a few months before drinking. 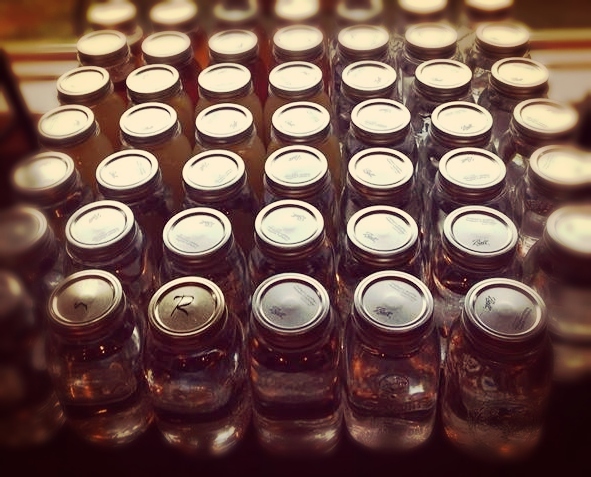 If your new to this here’s an article on oaking and ageing homemade whiskey that’s worth a read. 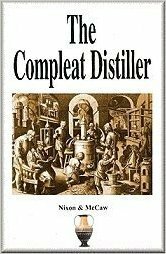 2 Responses to "Grand Pappy’s 4-Grain Liquor Recipe – Everyone Will Love This One!" The grain bill sounds good and I’ve no doubt it produces a fine whiskey, but I notice you’re not really mashing, in the enzymatic sense. While all of this grain contributes to flavor, none the starches are being converted, and thus virtually all the fermentable sugar – hence, alcohol – has to come from the molasses and added sugar alone. In this regard, the grain is going mostly to waste. If you were to add about 30% milled lager malt to the mash once it hits about 70C/150F you should improve your yields considerably. 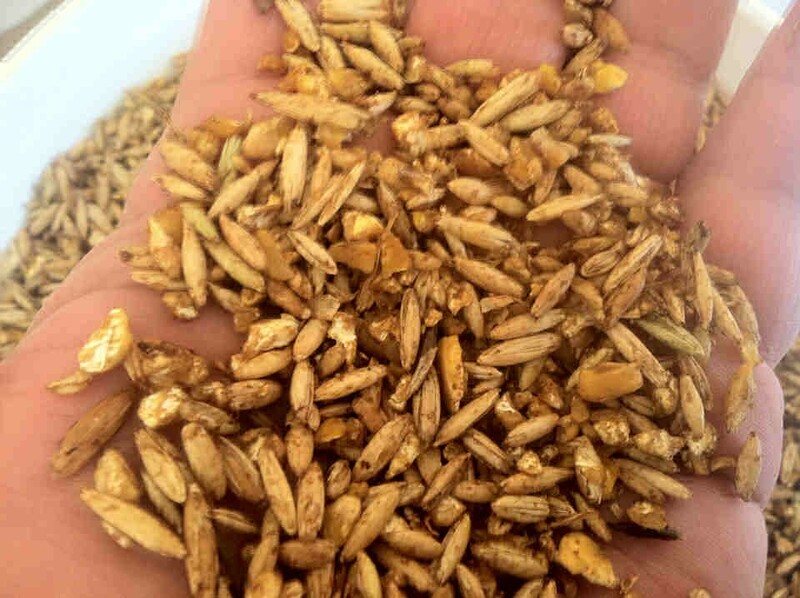 The diastatic enzymes in the malt would convert much of the starch to fermentable sugars, making this additional sugar available to the yeast. Alternately, there are packets of “amylase enzyme” available from homebrew shops that claim to accomplish the same thing. I thought the same thing with regard to the grains. Without amylase there is no conversion, and without conversion, there isn’t fermentable sugars…..